About 281 jobs in Tourism & Hospitality sector. Respond to guest requests for special arrangements or services (e.g., transportation, reservations, dry cleaning) by making arrangements or identifying appropriate providers. Respond to special requests from guests with unique needs and follow up to ensure satisfaction. Gather, summarize, and provide information to guests about the property and the surrounding area amenities, including special events and activities. Answer, record, and process all guest calls, messages, requests, questions, or concerns. Contact appropriate individual or department (e.g., Bellperson, Housekeeping) as necessary to resolve guest call, request, or problem. Review shift logs/daily memo books and document pertinent information in logbooks. Ensure that any outstanding requests from the previous day receive priority and are resolved. Monitor inventory and order general office supplies. Notify Loss Prevention/Security of any guest reports of theft. Assist management in hiring, training, scheduling, evaluating, counseling, disciplining, and motivating and coaching employees; serve as a role model and first point of contact of the Guarantee of Fair Treatment/Open Door Policy process. Report accidents, injuries, and unsafe work conditions to manager; complete safety training and certifications. Follow all company policies and procedures; ensure uniform and personal appearance are clean and professional; maintain confidentiality of proprietary information; protect company assets. Welcome and acknowledge all guests according to company standards; anticipate and address guests' service needs; assist individuals with disabilities; thank guests with genuine appreciation. Speak with others using clear and professional language; answer telephones using appropriate etiquette. Develop and maintain positive working relationships with others. Ensure adherence to quality expectations and standards. Stand, sit, or walk for an extended period of time. Move, lift, carry, push, pull, and place objects weighing less than or equal to 10 pounds without assistance. Perform other reasonable job duties as requested by Supervisors. You will be responsible to provide an excellent and consistent level of service to your guests. The Spa Attendant is responsible to ensure the overall cleanliness of the Spa and to ensure maximum efficiency, safety and uncompromised attention to our guests or club members. Candidates with relevant experience are preferred. Possess good customer relations and interpersonal skills. 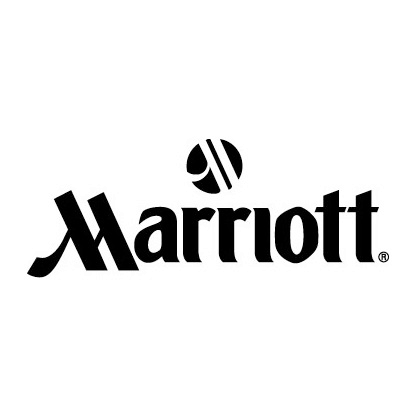 You will be responsible to assist the efficient running of the department in line with Hyatt brand standards, whilst meeting guest and owner expectations.The Housekeeping Clerk is responsible to provide administrative support to the Housekeeping. Possess minimum G.C.E. "O" Levels. Candidate must possess at least Professional Certificate/NiTEC in Hospitality/Tourism/Hotel Management or equivalent. Preferably Entry Level specialized in Hotel Management/Tourism Services or equivalent. We are looking for an independent, self-starter, motivated Executive, Regional Digital Marketing based in Singapore responsible in overseeing the online marketing strategy. Plan and execute digital (including email) marketing campaigns and design, maintain and supply content for company website(s). In addition, engaging with the public through social media and ensure visitor flow to digital sites. Analyzing and reporting on visitor data and devise new ways to market products. These duties and responsibilities are intended to describe the general nature and level of work being performed by the individual assigned to this position. They are not intended to be a complete list of all duties, responsibilities, and/or skills required. Other tasks may be assigned as needed. · Perform related duties and responsibilities as required. · Candidate must possess at least Diploma/Advanced/Higher/Graduate Diploma in sales & marketing or related fields. · Minimum 1-2 years of experience in digital marketing and design; prior experience in tourism industry preferred. leisure travel, including attraction tickets, tours, activities, F&B, transportation and other general tourism interests. He/She participates in and leads the general sales efforts to promote and sell products via GlobalTix system. This position requires building and managing strong meetings industry relationships focusing on China, Hong Kong and Taiwan. Comb the markets; research and fully develop market segment targets; develop and execute sales campaigns and interact with industry players. Primary external responsibility is to promote travel products via GlobalTix system to travel agents worldwide. Maintain positive and cooperative relationships with key decision makers in the travel agencies on coordinated sales efforts. Collaborate on strategic planning with internal staff to establish departmental goals, develop sales materials, branding and promotions to increase sales. Represent GlobalTix locally and out-of-town with a primary sales focus of potential outbound travel agents. Contact prospective travel agents to initiate sales efforts. Ensure sales efforts are progressing and meeting goals, targets, etc. Attend and participate in trade shows, industry meetings, sales pitch, bid presentations, and make sales calls to promote GlobalTix as a system platform to gain access to more than 20K products. Develop and conduct personal marketing and promotional visits to potential clients and make presentations in bidding on groups. Candidate must possess at least Diploma/Advanced/Higher/Graduate Diploma in Business/Hospitality/Tourism or equivalent. At least 1 Year(s) of working experience in the related field is required for this position. Entry level candidates may be considered. Must possess the ability to work in a fast-paced work environment. Must be well organized with the ability to prioritize and handle multiple assignments and be willing to get involved in projects with varying degrees of difficulty. Ability demonstrate exceptional skills in sales, customer relations, communications, and problem solving. Ability to work independently, exercising good judgment, and initiative. Candidate with tourism experience will have an added advantage. Required Skill(s): Account Management, Sales Negotiation, Client Engagement Skills, Analytical Thinking. Candidates with more experience may be considered for more senior positions. You will be responsible to provide an excellent and consistent level of service to your customers. The Guest Service Officer (Telephone Operator) is responsible to contribute to the smooth and efficient running of Guest Services Centre within the Rooms Division. Candidates with Diploma/ Degree in Hospitality / Tourism Management or equivalent will be preferred. Minimum 6 months work experience in hotel operations. relations, communications and interpersonal skills. You will be responsible for designing, building, improving, or maintaining our products and systems, but you will also managing a team (or teams) of engineers, growing and empowering them to accomplish great things, and ensuring that best practices, standards, and processes are adhered to. will need to acquire contextual breadth and depth in your product domain and manage stakeholders' expectations. You will work in cross-functional teams and meet great people regularly from top tier technology, consulting, product, or academic background. We work in open environment where there are no boundaries or power distance. Everyone is encouraged to speak their mind, propose ideas, influence others, and continuously grow themselves. Get the exposure to multi-aspect, collaborative, intensive startup experience with our recent expansion into Southeast Asia and exploration of new products. Bachelor's degree in Computer Science or equivalent from a reputable university. innovation in engineering, including containers and orchestration, serverless, DevOps, NoOps, other programming paradigms, etc. and shape company technology strategy in alignment with business strategy. Direct strategic technology capability investment to build future company growth engine and competitive advantage including attracting and grow top engineering talents in the region and to sustain learning and knowledge sharing culture in the organization. Experience in building large scale distributed systems. Experience with building search, recommendation system, production-grade machine learning systems, or other data-driven products or systems with advanced algorithms is a plus.